2nd place at the 2016 World Junior Championships held in 2017 with a score of 10050 points. 1st place at the 2017 Moomba Masters whit a score of 10050 points. 1st place at the 2017 Nautique Masters whit a score of 10350 points. 1st place at the 2017 World Open Championships with a score of 10220 points. Neilly Ross had the distinction of winning all of the Elite Women Trick Tournaments of 2017 culminating with the 2017 World Championships crown. 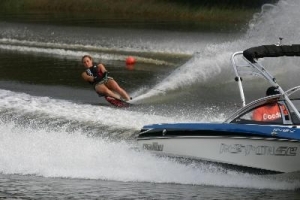 She won both the Moomba Masters and the Masters. She had a total of nine first places in 2017 and all score above 10000 points. Ryan Dodd had a breakout year in 2017. He won every single Elite Tournament jump event except for an early season 2nd place at Moomba. His wins include the Masters, the Vladimir Filin Memorial, the Ray Stokes Pro Am, the Canadian Open and finally the World Championships. He also placed 1st in every other tournament entered in 2017. 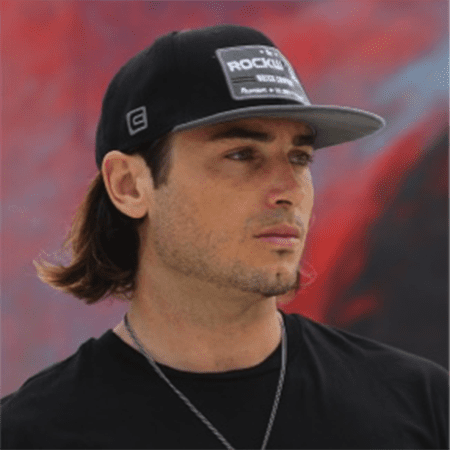 Ryan also acts as the Pan American skier representative on the Athletes Advisory Council to the IWWF Tournament Council as well as being involved in tournament promotion and organization. 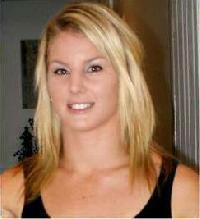 Born in September 1992, Australian athlete Jacinta Carroll is an impressive Overall three-event Waterskier. However, in the extreme sport of Waterski Jump, her performances have been extraordinary. With 30 consecutive wins to the end of 2016, she hit international headlines back in 2010 on taking the Jump Gold Medal at the US Masters in Callaway Gardens, a title she has now captured four times. 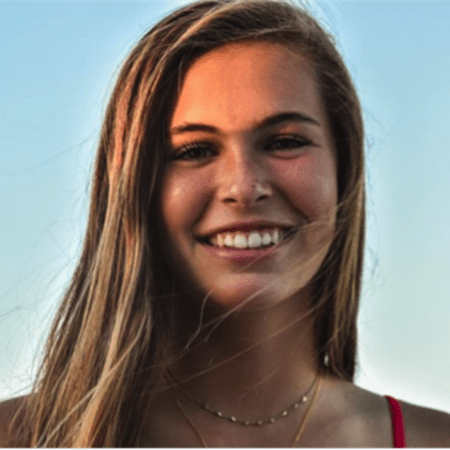 Her Gold Medal titles also include the IWWF World Cup, IWWF World Championships, Moomba Masters, Malibu Open, US Open and many others. However, in 2011 when she broke the U21 World Jump Record with a distance of 54.8m, a whole new era of achievements began. In spite of an injury that same year, the best was yet to come. Coached by the late Ray Stokes from the age of eleven and sponsored by Nautique, her 2015 Open World Jump Record of 59.1m looked like it would stay intact for some time. This was not the case ! She has since pushed that World Jump Record to 60.3m, an extraordinary achievement. Currently taking her Masters in Physiotherapy at the University of Queensland, Jacinta Carroll’s award of 2016 IWWF Athlete of the Year is truly well deserved. 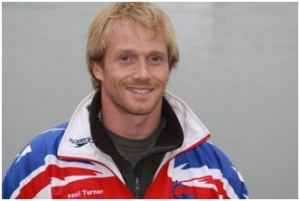 Barefoot Skier David Small (GBR) had his first Barefoot lesson in chilly waters in Birmingham, England. Currently living in Winter Haven, Florida, his international reputation really began with his first Barefoot Overall title in 1999 at the Junior World Barefoot Championships in Texas. This was followed in 2002, 2004, 2010, 2012 and 2014 with Open Men’s World Championships Gold Medals. In 2016, he added yet another Overall World Barefoot Champion title to his already distinguished career. Currently holding World Records in both Jump and Tricks, he has now set no less than five pending 2016 Tricks records of 12,850, 13,150, 13,300, 13,300 and 14,050. 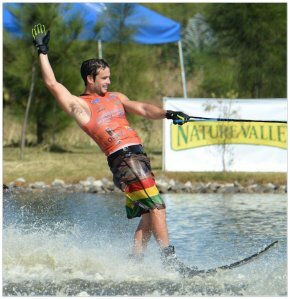 Taking first place at the 2016 World Barefoot Championships in Tricks, Slalom and Overall, David Small’s consistency over the years has been quite phenomenal. This keen Skydiver and Motor Cyclist who owns the World Barefoot Centre in Winter Haven, Florida, now adds the title of 2016 IWWF Athlete of the Year to his very distinguished collection. 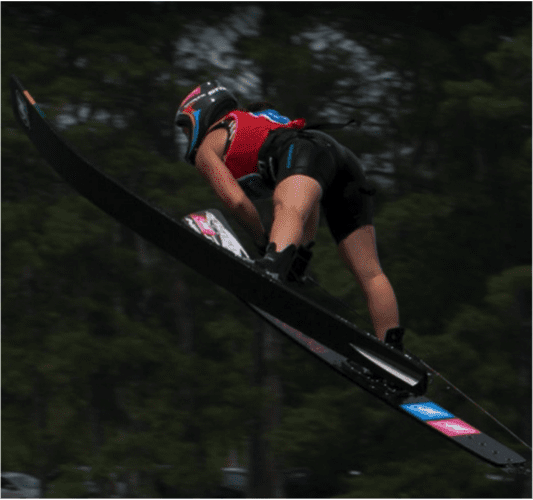 Regina Jaquess (USA) in 2015 won nearly every major slalom tournament she entered and followed it up with strong reliable results in tricks and jump to rise to the top in overall, once again claiming the World Overall Championship. Adam Sedlmajer (CZE) is the strongest Overall skier in Europe and in the World. In 2015 he won both the World and E&A Overall titles and has risen to the top in Overall in both the World and E&A Ranking lists. Alexander Vasko is only 20 years old and is one of the top Cableski skiers, but this year was extremely good for him. The climax of the year for him was the Cableski World Championships. In the preliminary round he broke the 9 year old Cableski World Jump record from Thomas Bauer (63.8m), with an incredible jump of 64.2 meter. This record set the pace for the jump finals and the skiers went for it with a thriller of the finals as a result. Still Alexander proved he is the best jumper this year winning the World title in addition of his new World Record. But Alexander is not only a great jumper, he is just a very good overall skier. 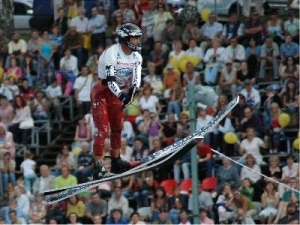 At the Cableski Worlds in addition to the gold medal in jumping, he also took silver in tricks and bronze in overall. On the Cableski Ranking List he is first in jump and overall and places fourth in tricks and fifth in slalom. In addition to the World Championships, Alexander placed second in jump at the First Cableski World Cup in Shanghai – China, with only Nikita Papakul being able to beat Alexander. At the grand prix of cable in Asten, Austria Alexander ended first in jump, and second in tricks, behind a topper like Ilya Labkovic, and in slalom, after the almost unbeatable Nadav Ativ, just once again a proof of his great shape this year and his skills as a great overall skier. 2010 was an incredible year for Regina Jaquess. 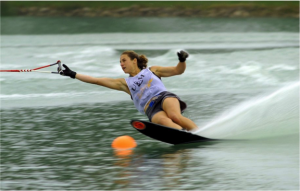 She set three new World Records, one in overall and two in slalom. Tricks, 12,150 and Jump 29.9m. 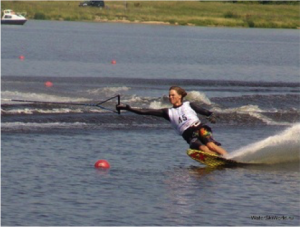 Whitney had the unique accomplishment of being the World Champion in both the U21 Championships and the Open World Championships in Overall, Slalom, and Tricks. 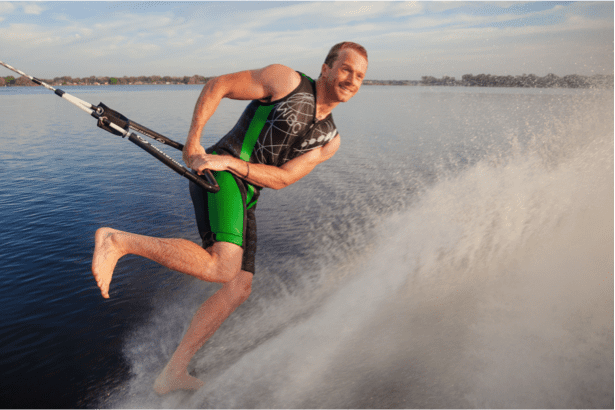 St. Onge is once again proving he is the most dominant international force in Barefoot Waterskiing. He turned in another unbelievable performance in 2009, repeating as the World Overall Champion in New Zealand. 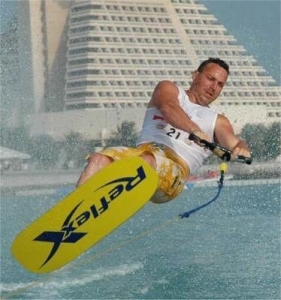 He once again reset the world trick record, this time at an amazing 11,250 and he retains a stranglehold on the world record in Wake Slalom. St. Onge also turned in an incredible performance at the World Games in Taiwan helping bring the U.S. team to victory, as well as winning the individual Gold Overall medal on the international stage. New Skills Learned: The best new skill that he has learned this year, is the ability to combine the most difficult barefoot tricks into a 15 second routine at standards that the world has never witnessed. Keith travels the world teaching and promoting the sport, yes It Is his business, but he does it with a great personal touch. He is regarded as the best in the world by an over whelming majority of his peers. He has sponsored many tournaments, clinics around the world and is the premier sponsor of the 2010 World Championships. Clementine Lucine FRA had a dream year. 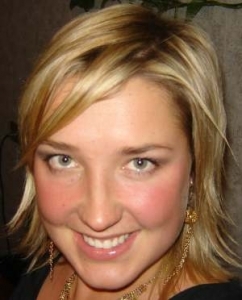 She had more Elite podium finishes than any other skier in the world covering all three events. She placed 2nd in World Cup Slalom and Tricks and 3rd in the World Cup jump. She ended the season with a #1 Elite Ranking in Tricks, #3 Elite Ranking in Tricks and #4 Elite in Jump. Combining all of these event strengths, she established a new World Overall Record. 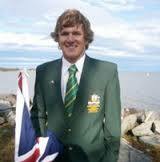 Keith won his first ever World Overall Title this season. At the tournament he placed First in EVERY round of Slalom and Every round of Tricks earning himself Gold medals in those events while becoming the Overall World Champion. He broke the World Trick Record EVERY round. A feat that has NEVER been done. 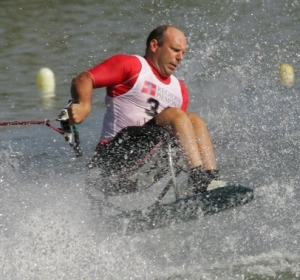 Earlier in the Year Keith set the World Slalom Record at 20.6 points. A record that had stood longer than any other in barefoot Water Skiing (12 Years). Keith’s 2006 Resume for Athletic Achievement goes unchallenged. Regina showed her talents by being the World Overall Champion, two World Championships in a row, so far. It was a year of firsts for trick specialist Nicolas Leforestier. Christophe, a multiple plegics MP3 sit skier, had a tremendous season. 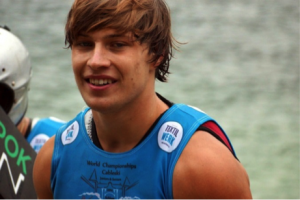 He scored at least two buoys at 49kph on the outer, regulation course, just a few buoys less than the world record at that speed, in five EuroTour stops, 3 EAME open tournaments and the World Championships. In tricks, he exceeded the world record more than once (all reduced on video review) as well as setting an EAME jump record of 20.2 meters. In the final EuroTour standings, he placed first in overall and second in tricks and jump. The culmination of his season was his superb overall victory in the largest and most hotly contested division at the World Championships in Florida where he also placed first in slalom, second in tricks and fifth in jump. That was on the water. 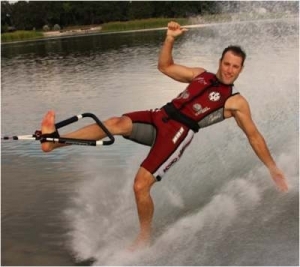 On land, he served as Tournament Director at two of the six EuroTour stops, homologated 4 competitions, passed his J1 (Senior Judge) exam – the highest rating, designed new slalom skis for the disabled and conducted training camps for the Belgian, German and French ski teams. 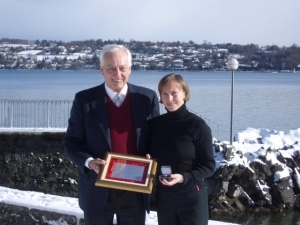 Elena Milakova receives her IWSF Athlete of the Year plaque and ring from IWSF President Kuno Ritschard near her home in Switzerland. 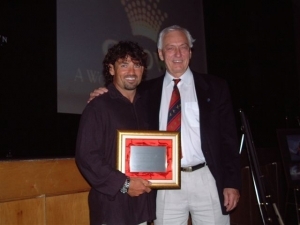 Jaret Llewellyn recieves his award plaque from IWSF President Kuno Ritschard at the Australand Moomba Masters.